A day of enjoyment and exercise on a bicycle may be easily ruined in an instant by the carelessness of the driver of a car or truck. Given South Florida’s pleasant weather and the outdoor lifestyle enjoyed by hundreds of thousands of bike riders, including children, there are almost 5000 bicycle involved crashes every year in Florida, resulting in over 100 deaths and more than 4,400 injuries annually. 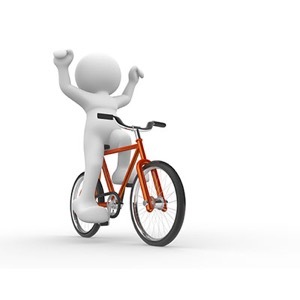 With the majority of those bicycle accidents happening in South Florida, including Miami, Fort Lauderdale, Palm Beach and the Florida Keys, bike accident victims need a Fort Lauderdale bicycle accident attorney with the experience and dedication to take on their case and obtain the greatest financial recovery possible. For nearly twenty five years Fort Lauderdale Bicycle Accident Lawyer Joseph Lipsky has helped bicycle riders who are seriously injured in a crash caused by someone else’s negligence across Florida. We your local Miami bicycle accident attorneys have helped hundreds of seriously injured bike accident victims collect millions of dollars for their fractures, scarring, disfigurement, road rash and other debilitating injuries. We have the experience and knowledge to get our injured clients the maximum possible recovery for the personal injuries and damages. As our local and state government has failed to build adequate designated bicycle lanes throughout South Florida, bike riders in Miami and Ft. Lauderdale too often are required to ride in close proximity to motorists which due to motorist error cause bike riders to suffer serious and permanent injuries. FRAME PROBLEMS – While many bicycle frames are made of aluminum or steel, advances in technology have seen a rise in the number of frames being made of carbon fiber. With those advances in reducing the cost of carbon fiber frames, comes an increase in their failure from cracks or bends. Carbon fiber forks may also become separated during a fast hill ride, resulting in a rider slamming face first into a roadway. Unfortunately, most riders are unable to access a carbon fiber failure before it happens. When a frame actually fails, the results to the rider may be catastrophic, resulting in life altering personal injuries. PEDAL FAILURE – In addition to being subjected to the downward force of a rider pedaling a bicycle, the pedal itself holds a significant amount of the rider’s weight. When a pedal fails, a rider will often lose their balance causing a crash. HANDLEBAR FAILURE – Handlebars also support a rider’s weight and are solely responsible for responding to the rider’s efforts to steer. When a handlebar is improperly installed or inadequately maintained, is may become loose, or if over tightened may cause a crack in the frame. BRAKE FAILURES – As the critical component in helping a rider slow down and stop, a failure of the brake pads or cable controls can result in a crash, usually at a location where there is crossing vehicle traffic. With our consulting accident reconstruction experts, we, your Fort Lauderdale bicycle accident lawyers, are able to recreate these collisions by evaluating the damage to the bicycle, including paint damage, stressed frames and damaged wheels, and of course, our client’s personal injuries. Our experts are able to use a rider’s fitness tracking devices or phone to access GPS positioning which helps determine a riders speed, riding time, distance traveled, route ridden. Our experts are able to download and recreate integral information which helps in putting together a full accident reconstruction. As Fort Lauderdale bike accident attorneys, we understand and sympathize with the difficulties bicycle accident injuries present. Miami Bicycle Accident Attorney Joseph I. Lipsky is committed to using all of his resources to help you pick of the pieces of your life after being injured in a bicycle accident by helping get you the maximum financial compensation allowed under Florida Law for your outstanding medical bills, your lost income, your pain and suffering, and holding the person who caused the accident fully responsible. Many bicycle riders are also car owners. Most of those dual owners don’t realize that having appropriate car insurance is another way to protect yourself from the dangers of riding along Weston’s roadways. While Florida only requires car owners to have personal injury protection, or PIP coverage, which pays for the first $10,000.00 of your medical bills if you are involved in any type of accident with a car, including while riding a bicycle; car owners are able to purchase another type of valuable insurance known as UM or uninsured motorist. UM coverage is exceptionally important in South Florida, where too many drivers do not have liability insurance. If you own a car and also are a frequent bicycle rider, your car UM insurance will follow you wherever you go. Meaning, if you have uninsured motorist coverage and are hit by a car or truck while riding your bicycle, your own insurance company will pretend to provide liability insurance to the person who caused the crash. This allows innocent seriously injured bicycle riders to make a claim against their own UM insurance company for the negligence of an uninsured or underinsured car driver. 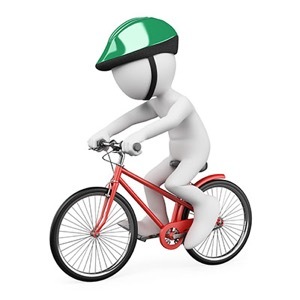 We cannot stress the importance of having uninsured motorist coverage on your own car insurance policy, not only for any car accidents, but also for added protection while riding your bicycle. to schedule for your FREE NO OBLIGATION CONSULTATION. The call and personal injury consultation are FREE, so do not delay in calling to find out about your legal rights.